An oft used adage in marketing is that 50% of advertising actually works, but the trouble is you don’t know which 50%. This may have been true in the Madmen days where going with the gut feeling was the north star for all strategic decisions. 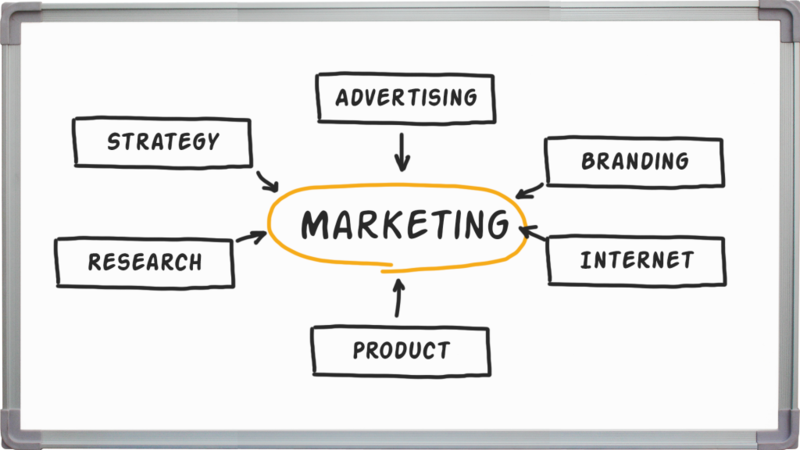 Fortunately, today there is a more precise method for developing and executing a marketing strategy. Like many disciplines, and marketing is no exception, data science, analytics and technology have ushered in new and far more effective ways of calibrating and tweaking marketing strategies to go with what works and steering away from what doesn’t work. In today’s post I wanted to cover some of the key marketing strategic levers that financial services firms have been adopting as part of achieving growth and success in the funds, investment vehicles, indices, and investment strategies that they represent. It is important in today’s markets, and most likely necessary, to have a targeted and tailored marketing strategy. This is key to ensure that your firm is not seen as stale, dated and also to not be out-shined by your competing firms, who are trying to win investment mandates and other business from you. Even if you don’t always see your competitors around you, they are surely ever-present. There are a few key elements that should be incorporated into a successful marketing strategy for an investment company and in this post we will highlight some of these key drivers. Firstly, your online presence (website, social media) should reflect a well-defined business proposition & cohesive message. The website has become the indispensible hub of the digital marketing program – and a key way to improve client service and extend your distribution. There are varied ways clients can access data on your website and through social media, but you want to make sure your message gets across. In order to do this you must define your product or service such that potential clients can easily understand information about new products and can contact someone to learn more. This discovery loop is aided greatly by having a website that is a modern extension of the business, if not the tracer bullet for potential clients. In terms of the website itself, it is important to have a clean, well-designed website that is easily maintained. If you are trying to use your website to build business, it should also be top of mind that you should try to consistently deliver new content that your audience can engage with. You should also have a focused eye on your target type of clients. It rarely helps to deliver all things to all people, so identifying your unique organizational strengths will help. Working with your best clients to see where you are valuable to them will help to focus. This is valuable insight that can mean the difference in effectively engaging or turning away existing and potential clients. Also, when potential clients are looking for a trusted business partner it is important that your website emphasizes that your organization has a strong support team to work with them, as well as outlining the key staff of the company. Another important component of a marketing strategy should be harnessing Social Media. There are different ways to use social media, and not all of them are effective. Harnessing social media when done well is an effective way of engaging at a higher level, promoting your industry thought leadership and getting your message out. This is a very good top level way to use social media. Also, by effectively using social media you can tap into a network of potential clients, a way to promote your business. This is a good way to emphasize the key messages you want your audience to know about. Do you have thought leadership on a particular investment strategy or asset class that you want investors to know about? Do you have recent research that you want showcased? These are all pieces of information that could be disseminated socially or on your website. Once you have developed the social media side, it is also important to get connected. Are there key industry groups or associations that you can partner with or collaborate with to help widen your net and help you reach a bigger audience? Are there any strategic partners you can endeavour to work with to get out your collective message? These are effective ways to reach a broader audience. Youtube, LinkedIn, and Twitter all have their relevance, as well as many other platforms and collaboration with other platforms. This can be one of the essential methods in learning the market you serve and build an awareness around your firm. By maintaining your core focus of your market, knowing your competition well and then defining your niche and your place in it. These will all help to ensure that you are investing your resources where they should be invested. Also, if you’d like to read more about this topic and have future articles delivered conveniently to your inbox, please sign up for our newsletter. And once you begin using these tools, building an awareness of your firm and developing some street ‘cred’ it is important to demonstrate a consistent message and maintain focus. Far more can be achieved with taking this approach. Many businesses, especially small emerging ones, get caught chasing too many different directions without reaching success while it would have been more successful to invest in one singular vision whole heartedly for a quicker win in the shorter term and more strategic in the long term. Probably one of the most important considerations is to be a great story teller. There are various effective ways to win, whether you are trying to get business prospects to work with you from using emails, out-bound social content (video/written), phone discussions or live interaction. In all these mediums it is important to be an interesting story-teller, so that your audience can better engage with your content, so you keep them interested and keep them coming back, and so that you show you respect your reader’s time. So it may be true that gone are the old days of advertising and going with the gut feeling, but today organizations are using marketing tools and analytics that can provide a far more data driven approach and these new and important “hygiene” aspects that financial services firms should consider, when added together, can be a winning combination. Financial services organizations face competitive pressures in a dynamic market place. To remain relevant and at the top of your game requires consideration of modern marketing your organization. We welcome any comments or perspective from your experience with developing a growth strategy on this subject. Want to learn more about optimizing layout and design of your Financial Reportings?